This completely updated floorplan is perfect for entertaining, enjoying a glass of wine while grilling, or just relaxing after a long day! 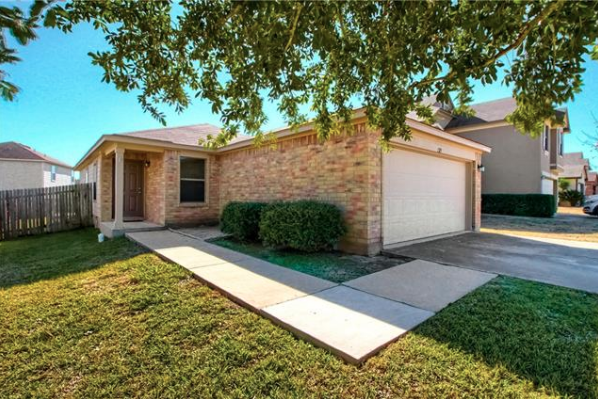 Over $12K in recent upgrades including SS stove, granite counters, paint & flooring, ceiling fans, & lighting. Short walk from private community pool, sports courts, bbq pits, & playground. Minutes from retail shops & restaurants, DT Kyle/Buda/Austin/San Marcos, EVO movie theater, Casa Garcia’s, Seton Med Center, HEB, Duchman Winery,Toll 130, I-35, & MORE! The open house for this place is this weekend Saturday, December 8 from 11 am – 3 pm and Sunday, December 9 from 1 – 5 pm. To see more info on this house click here.